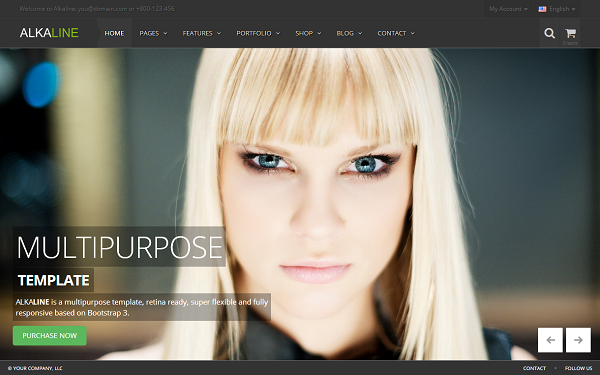 Alkaline is clean, super flexible website template for business, freelancers and creatives. This template sets the new standard with endless possibilities. Alkaline is very intuitive and includes the most useful features like portfolio, shop and blog. The clean design can be used for any type of website; business, corporate, portfolio, blog, products, etc. Item Reviewed: Alkaline - Multipurpose Bootstrap Template 9 out of 10 based on 10 ratings. 9 user reviews.